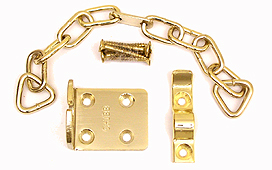 Door chains give extra security allowing you to open the door slightly but not fully. They are very easy to fit. Simply screw one side to the door and the other to the door frame. Choose a good quality one with long screws.